If I were to ask you who comes to mind when I ask you to name a famous inventor, who would you name? Thomas Edison? Benjamin Franklin? Alexander Graham Bell? 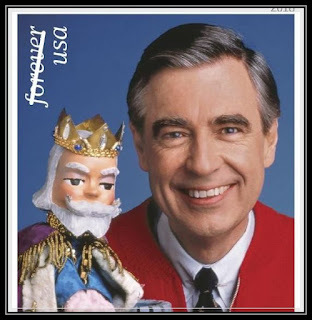 How about John Hays Hammond? Ever heard of him? Second only to Thomas Edison in his number of patents, Dr. Hammond produced over 400 patents and the ideas for over 800 inventions. John Hammond was one of America's premier inventors. His most important work was the development of remote control via radio waves, which earned him the title, "The Father of Remote Control." Betcha didn't know that!!! 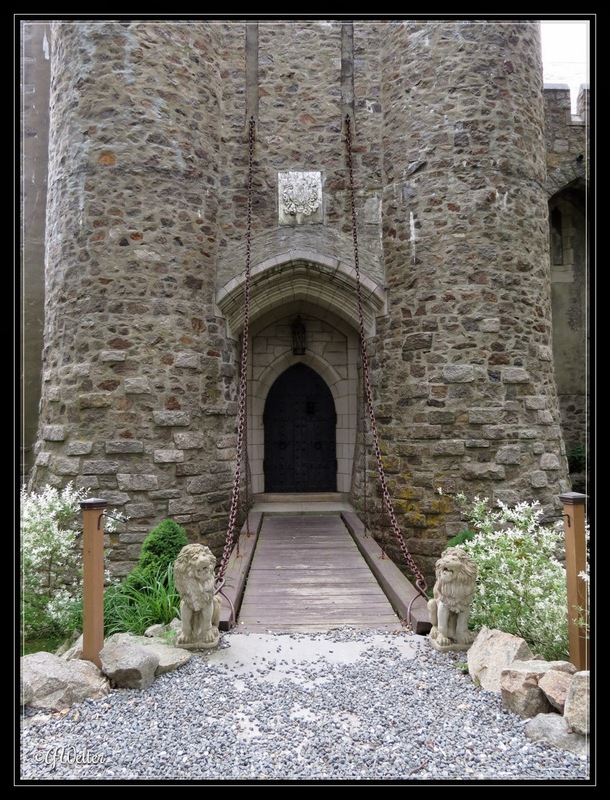 While Hammond was clearly intelligent and accomplished, what I believe is his most impressive accomplishment is his design and construction of Hammond Castle. 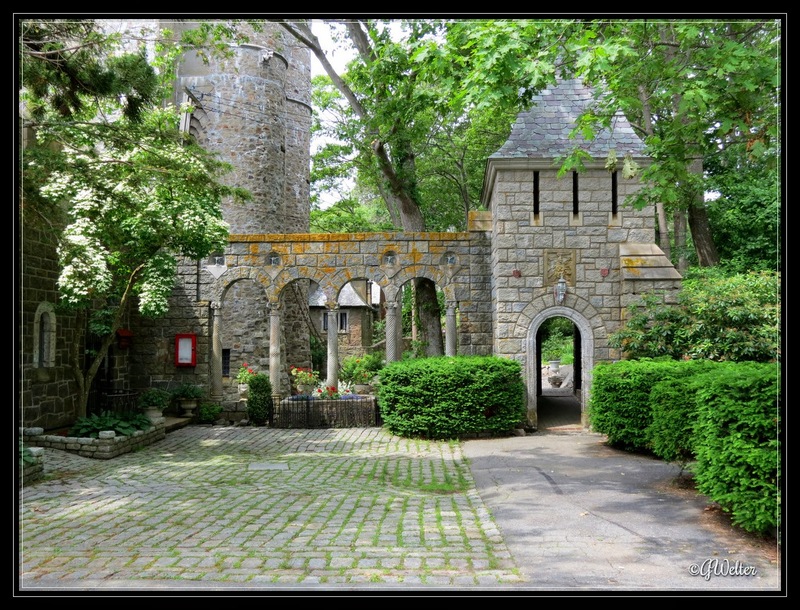 Hammond Castle was constructed between 1926 and 1929 for the bargain price of $500,000 and was intended as a wedding present for his wife Irene Fenton Hammond to prove how much he loved her. 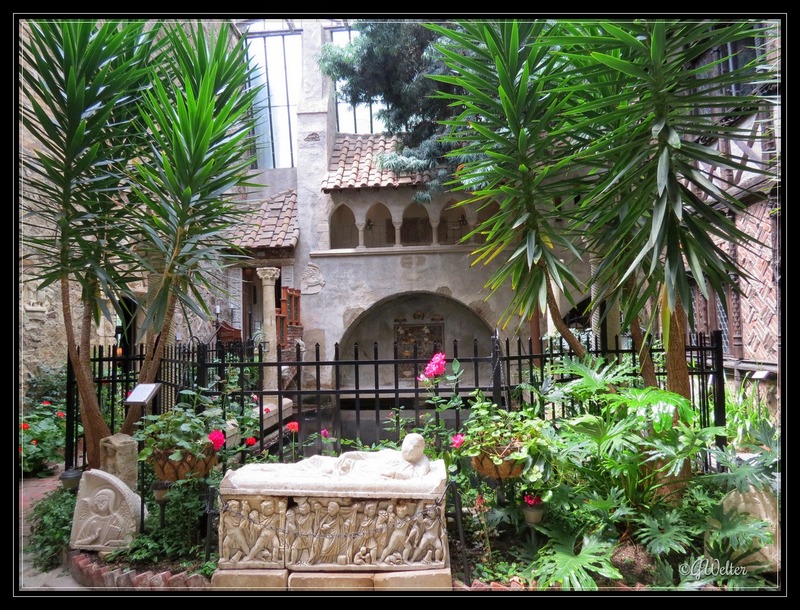 It was also to serve as his home and place to display his collection of Roman, medieval, and Renaissance artifacts. 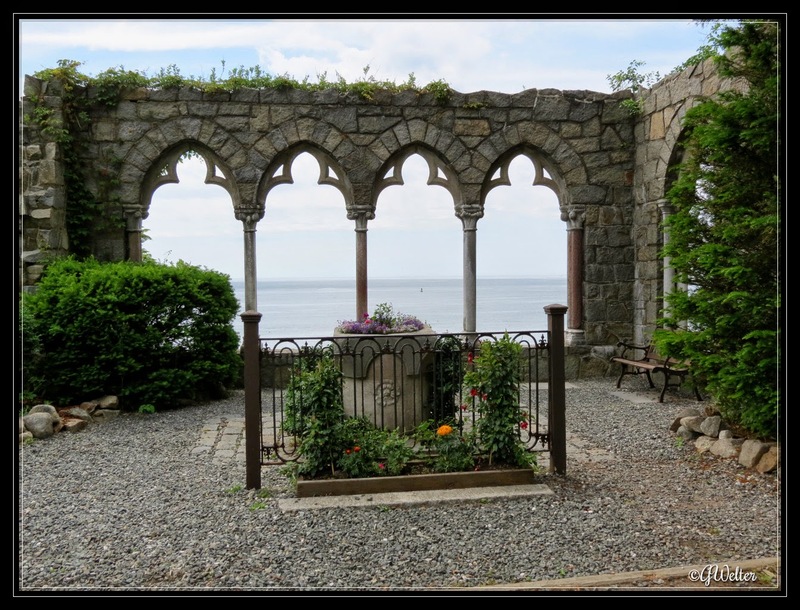 You might expect to find Hammond Castle in England or Ireland, but probably not in seaside Gloucester on the Atlantic coast. Yet, visitors to Hammond are transported to a different time and place and probably forget where they are while inside of this amazing structure. We first visited Hammond several years ago when our girls were in their early tweens and we have gone back at least 3 more times. It's just that captivating! 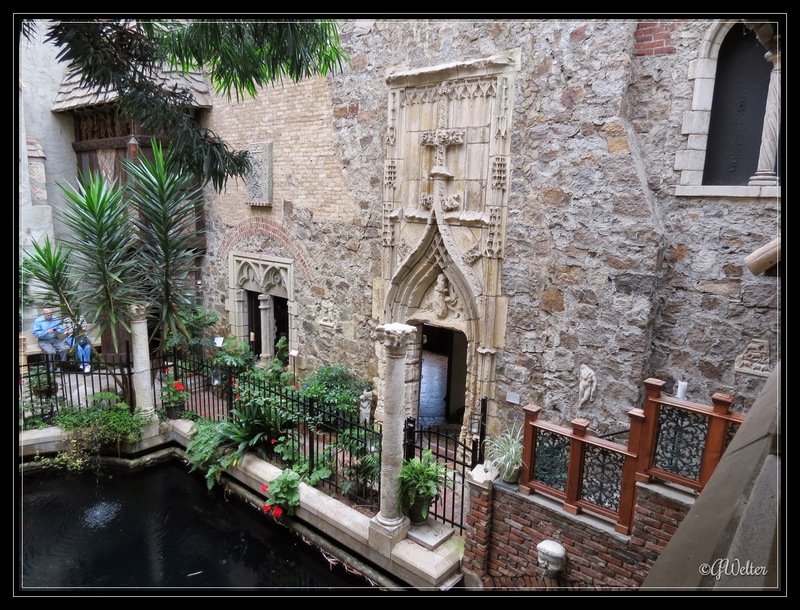 When you tour Hammond, you are able to explore many rooms (map supplied) including the great hall, indoor courtyard, Renaissance dining room, two guest bedrooms, the inventions exhibit room, the library, the War room, the kitchens, the Natalie Hays Hammond exhibit room, servants quarters, as well as several smaller rooms and passage ways including a secret passageway. 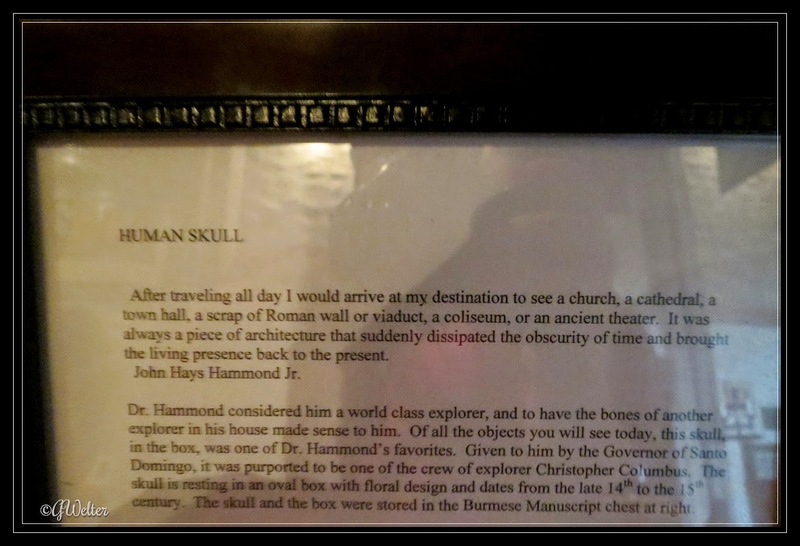 Each room is filled with artifacts Hammond had collected from all over the world. 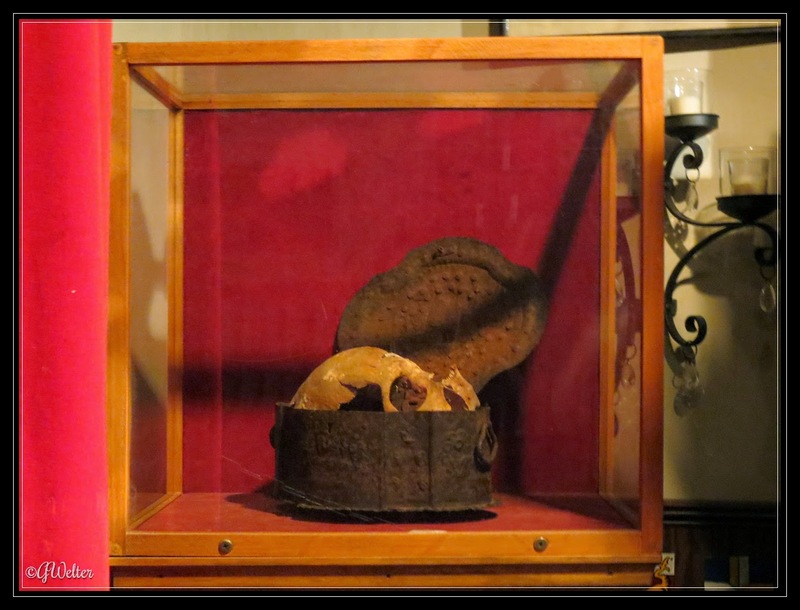 One such artifact is the skull of what is believed to have been a crew member of Christopher Columbus! 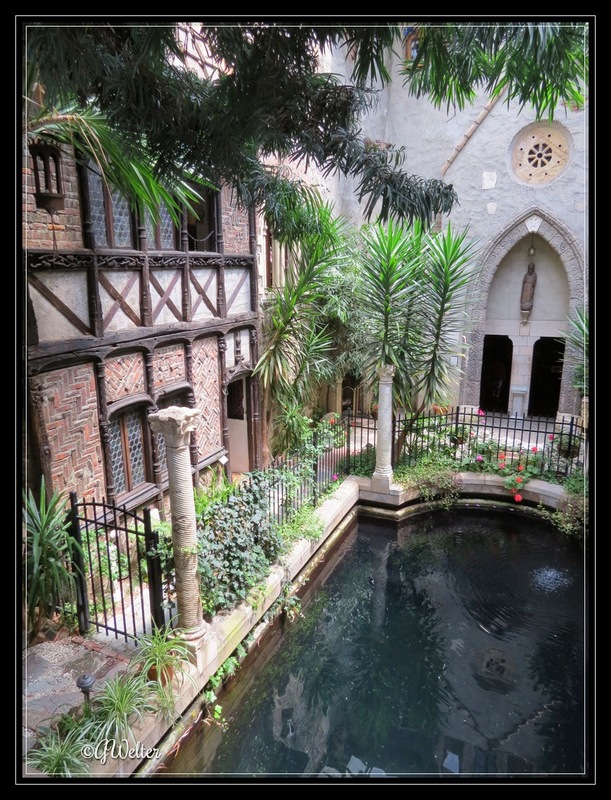 One of my favorite features of the castle is the pool which is in the indoor courtyard. 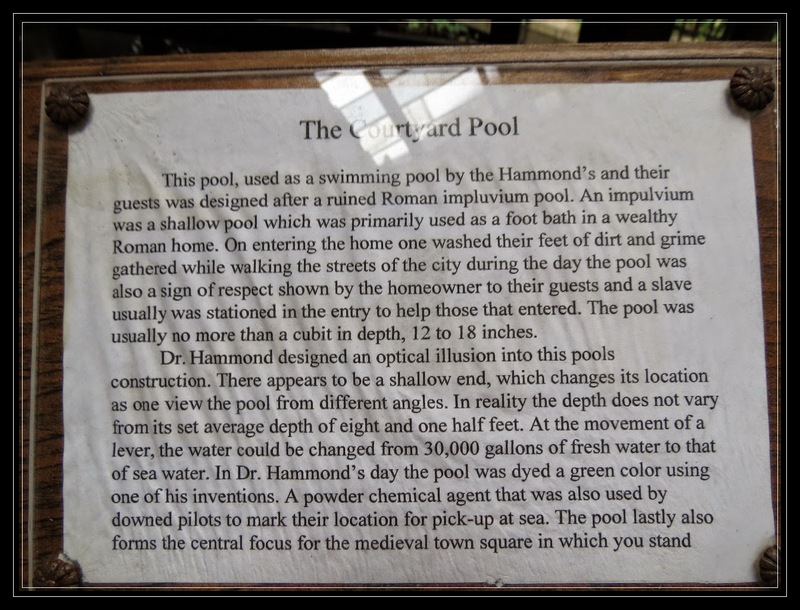 The pool was modeled after a Roman impluvium pool which would have been used as a foot bath in a wealthy Roman home. With the movement on one lever, this pool and it's 30,000 gallons of fresh water could be changed into sea water. That isn't the only cool thing about this pool......Read framed description below. 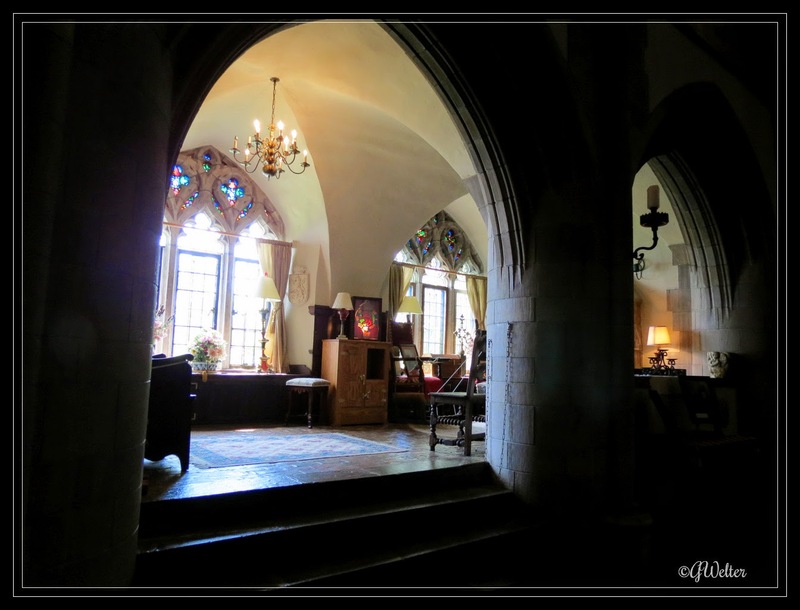 Hammond Castle also houses a large pipe organ - so large its pipes reach 8 stories high! 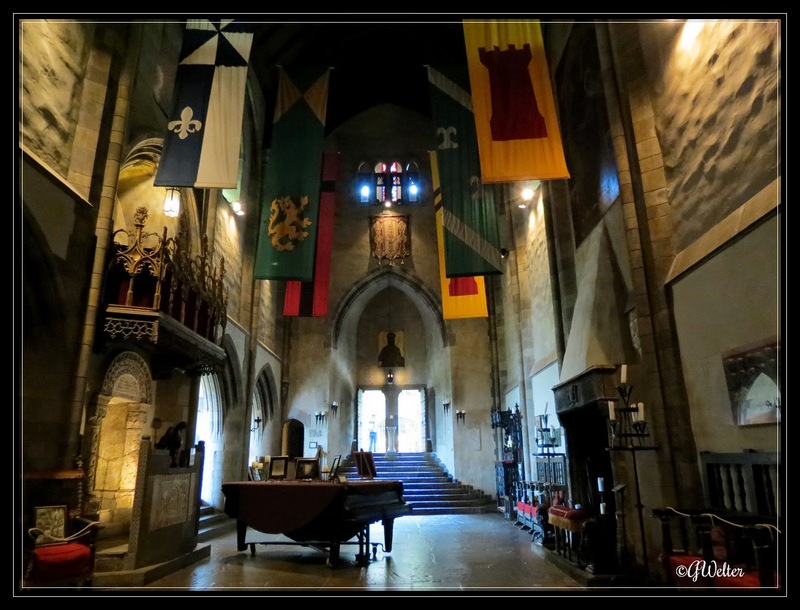 Unfortunately the organ is no longer operable, but on some days recorded organ music plays in the Great Hall. 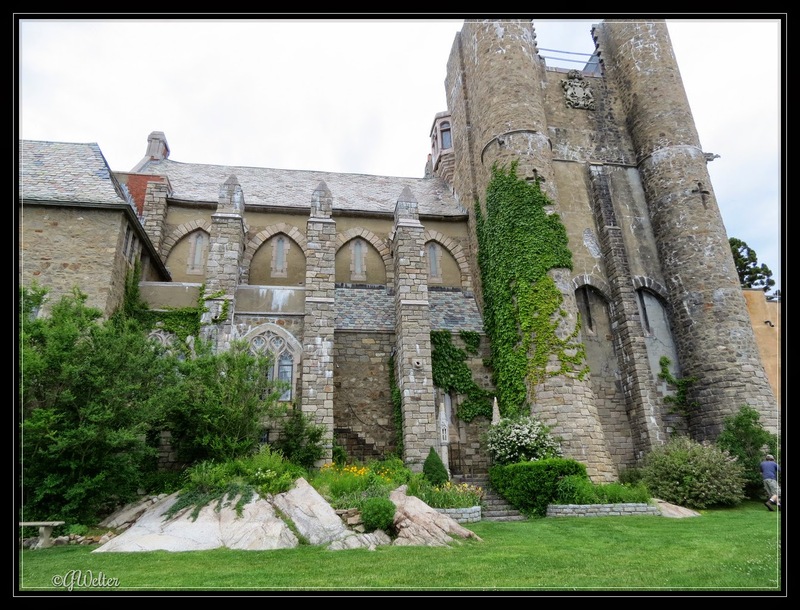 Hammond Castle is a must-see if you are ever in or near Gloucester, MA. 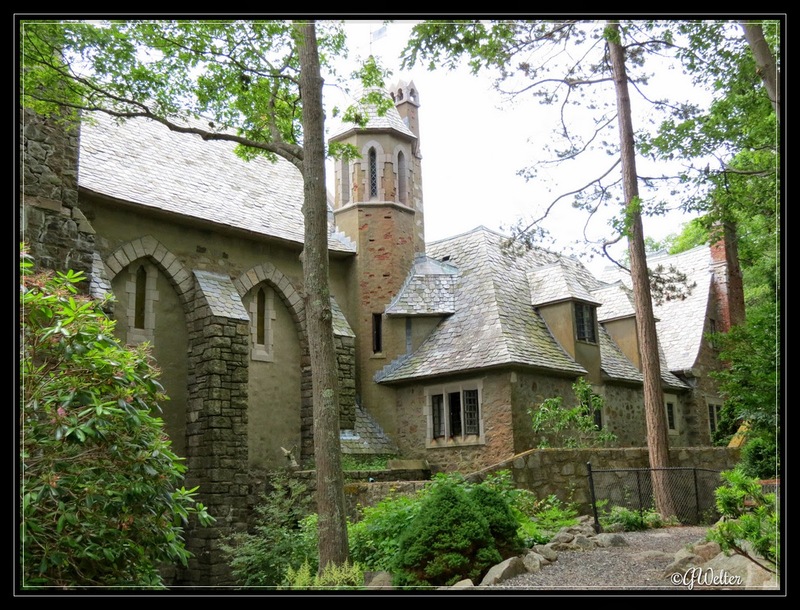 Whether you are roaming around the massive interior of the castle, or exploring the grounds which includes the cat yard, Hammond's grave site or the spectacular view of the Atlantic Ocean, you'll be transported to a different time and place. 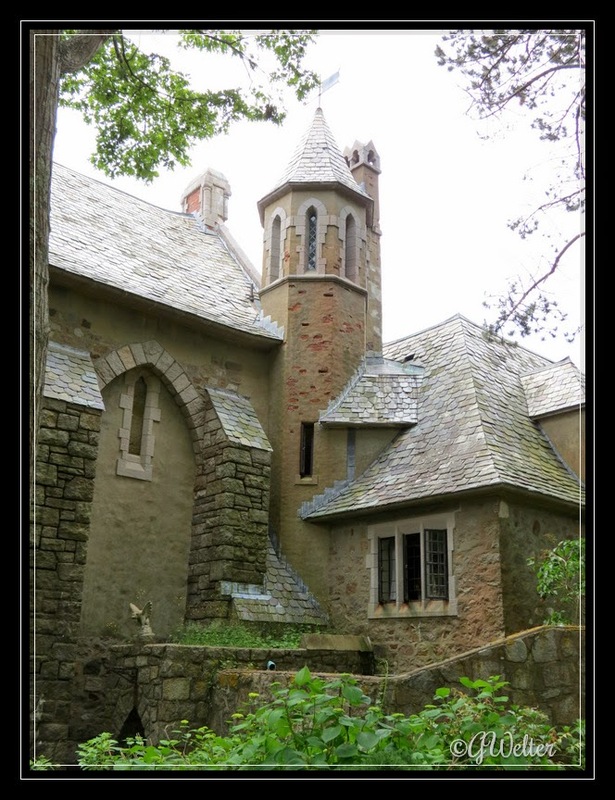 Hard to believe the admission to this treasure is only $10 a person. In researching Hammond Castle, I came across a fabulous video which features many rooms of the castle and a wonderful narration about Hammond, his accomplishments and his collection. Please take seven minutes to watch it. The link to the video is at the bottom of this post. 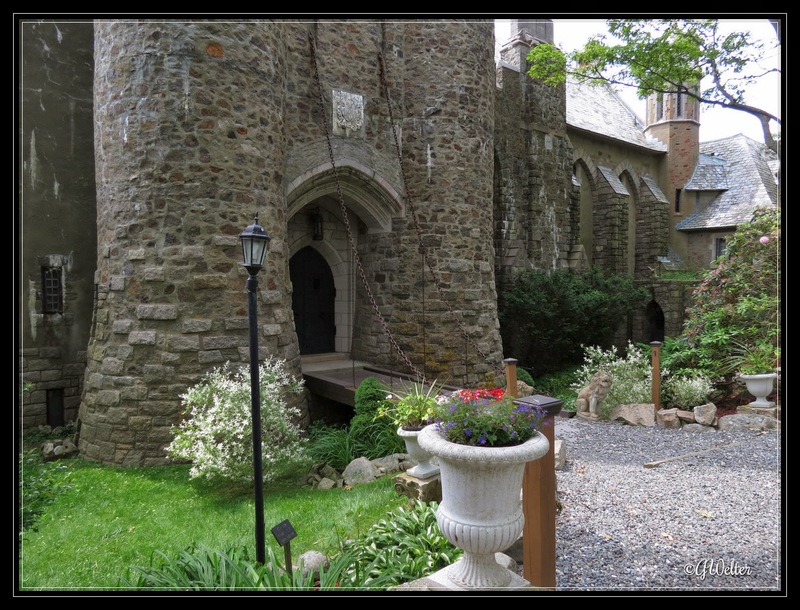 You won't be disappointed and I'm pretty confident Hammond Castle will be added to your bucket list. Don't forget to click on a picture to be taken to a slideshow format and use the links at the end of this post for further information. 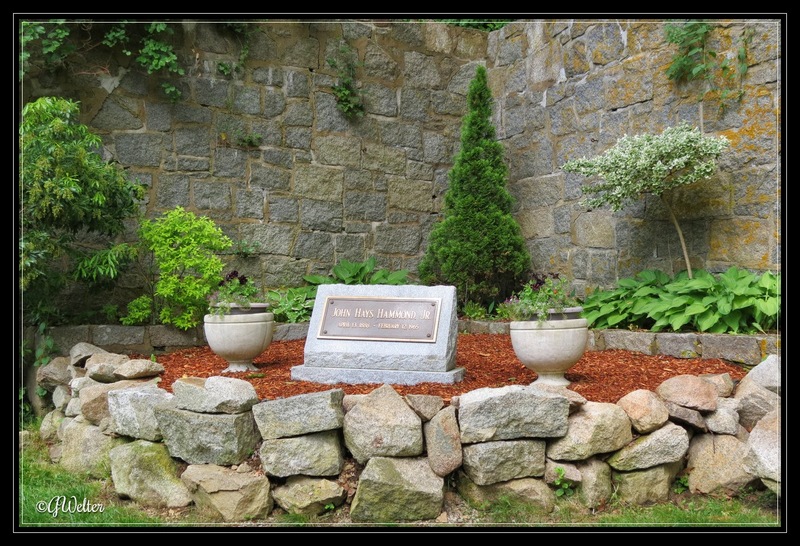 John Hays Hammond's grave (after it was moved from adjoining property in 2008. 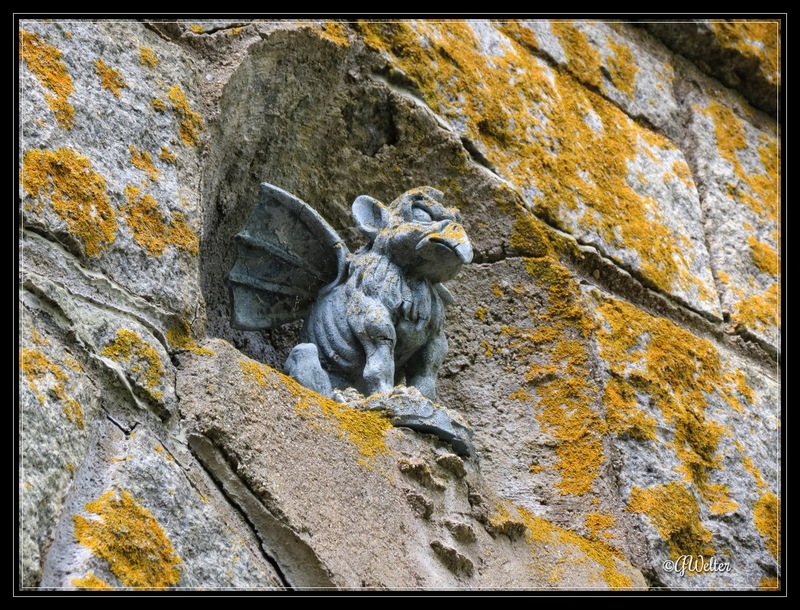 Just one of the many gargoyles found throughout the castle interior and exterior. 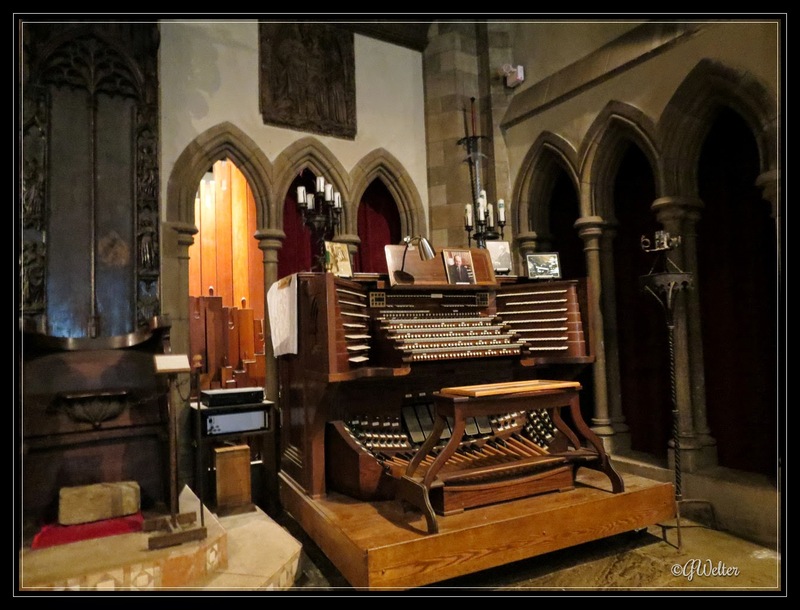 Hammond's Organ - pipes rise 8 stories high! 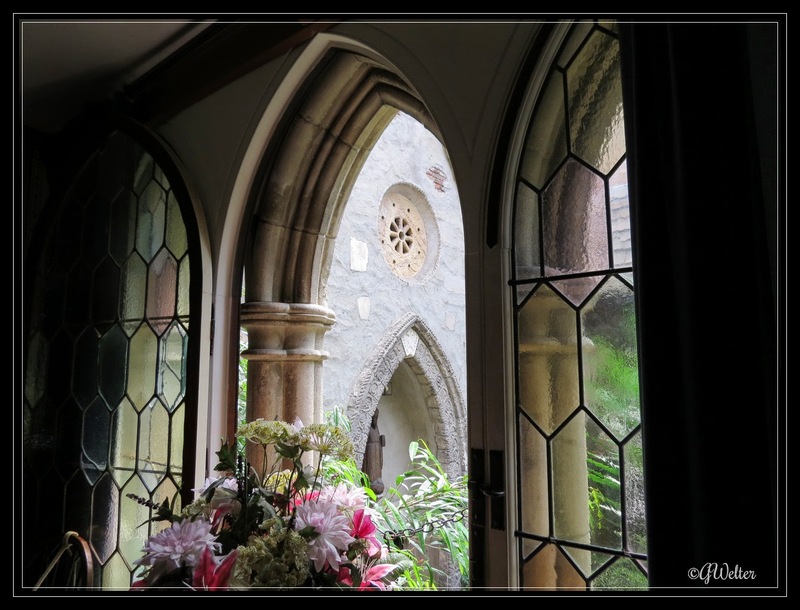 Great Hall - Doors at the end lead to the Courtyard. 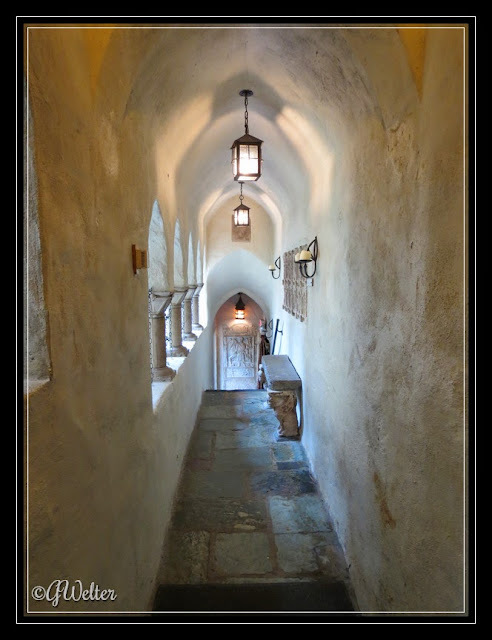 This passage leads from one side of the courtyard to the other on the second floor. Very beautiful and interesting. Wish I had known about it when I was in Gloucester a few years ago!!! 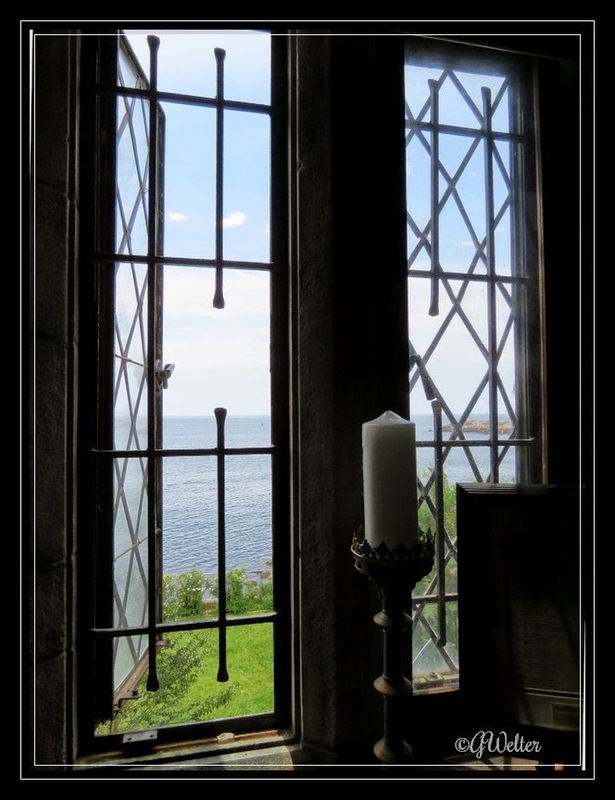 Thanks for posting - next time it will be a "must see". 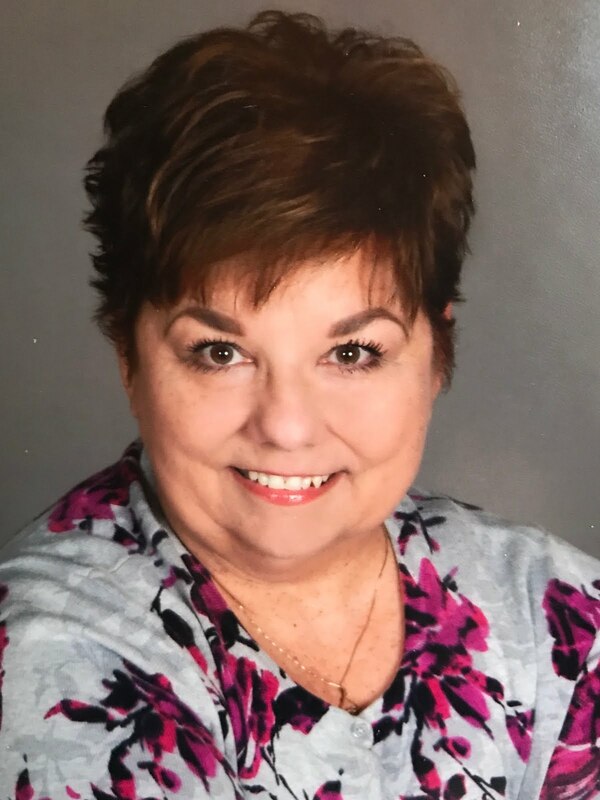 Is Your Name in the Obituaries Today?